While everyone loves the taste of a sparkling drink, foodies and beverage lovers alike are becoming more health conscious. And consumers are saying “no” more than ever to sugar-laden traditional colas. As a result, the once-booming $600-billion soda industry is rapidly changing. For the first time ever, bubbly beverage consumers can control what goes in their sodas and easily make carbonated beverages out of 100% natural ingredients. It is easy to have eight glasses a day when your water is bubbly and flavored with fresh fruits and herbs an. Just turn your ordinary tap water into a refreshing, beautiful beverages with Bonne O home carbonation system. The name, meaning “good water,” comes from the French “bonne eau”. Bonne O allows bubbly beverage fans to create carbonated drinks using fresh, healthy ingredients found in their kitchen. 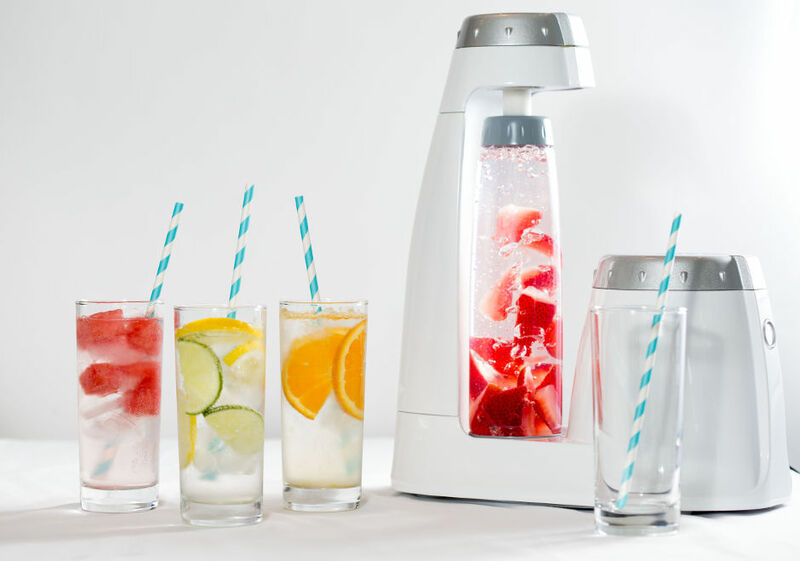 This sleek, electric appliance creates the healthy and delicious beverages that today’s modern consumer demands while not requiring a CO2 tank. Since it is in your kitchen you can carbonate good things like fruit, herbs, spices, tea, wine, spirits and not bad things like artificial sweeteners, artificial flavors, and artificial preservatives. Why do you need Bonne for Mother’s Day? “I love sparkling beverages – so much so that I found myself carting cases of sparkling water in and out of the grocery store for four years. But we grew tired of the high cost and the environmental impact of all the bottles. Our fabulous team has worked incredibly hard to bring the Bonne O system to families just like ours. Now my wife and I create healthy sparkling beverages for ourselves, make soda alternatives for our daughters and put on a show with party cocktails when entertaining. We hope your family shares and enjoy your Bonne O creations as much as we do.” –said Darren Hatherell, Bonne O inventor. Wine spritzers are a great drink for Mother's Day. Light, refreshing and delicious. Today we are featuring 3 different wine spritzers you can effortlessly make with your Bonne O system. Each is certain to be the best wine spritzer ever since all ingredients are carbonated and pressure infused in the bottle - the wine, water & juice! No weak, half-carbonated spritzers for your Mom. 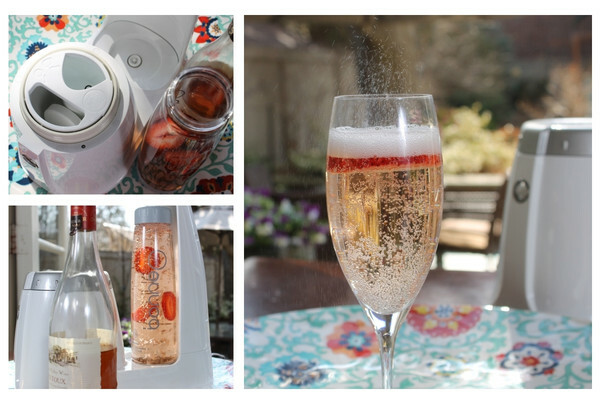 A Strawberry Infused Rosé Spritzer is a visual and taste treat. It requires a chilled bottle of dry rosé wine, a strawberry, one carbonator and some cold water. Place a couple of slices of strawberries in the bottle, half fill the bottle with chilled, dry rosé wine and top up the bottle to the very top with cold water. Fill the flavor chamber with cold water and place a carbonator in the carbonation chamber. Close the system and push the button. TIP: Open this drink over the sink. The strawberries combined with wine will create many bubbles. Looks great and tastes amazing, but it's very bubbly. This is our new favorite and maybe your Mom's as well. 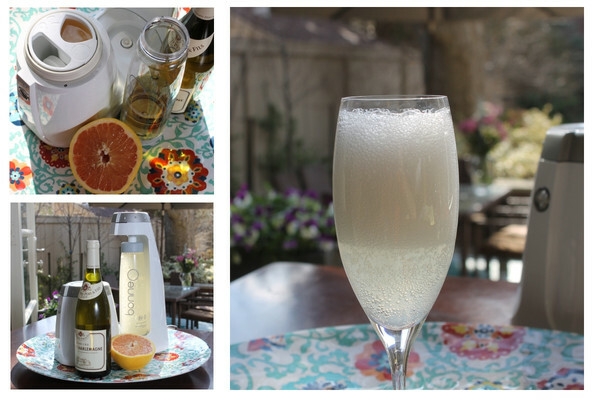 A Grapefruit Mimosa Spritzer is light, tart and refreshing and is good from breakfast to evening. Amazing! To create Bonne team used a chilled bottle of dry white wine, some pulp-free grapefruit juice, cold water and a carbonator. Fill half the bottle with chilled white wine and top up with cold water. Fill the flavor chamber with pulp-free grapefruit juice and place a carbonator in the carbonation chamber. Close the system, push the button. The classic Mother's Day brunch accompaniment is the Orange Mimosa. 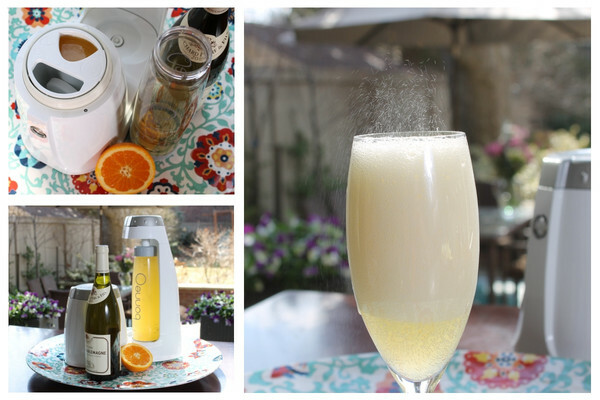 The Orange Mimosa Spritzer is lighter and more refreshing, using half wine, half water. To create it we used a chilled bottle of dry white wine, some pulp-free orange juice, cold water and a carbonator. Fill half the bottle with chilled white wine and top up with cold water. Fill the flavor chamber with pulp-free orange juice and place a carbonator in the carbonation chamber. Close the system, push the button. If you prefer to make an Orange Mimosa, completely fill the bottle with chilled white wine in the directions above - no water.